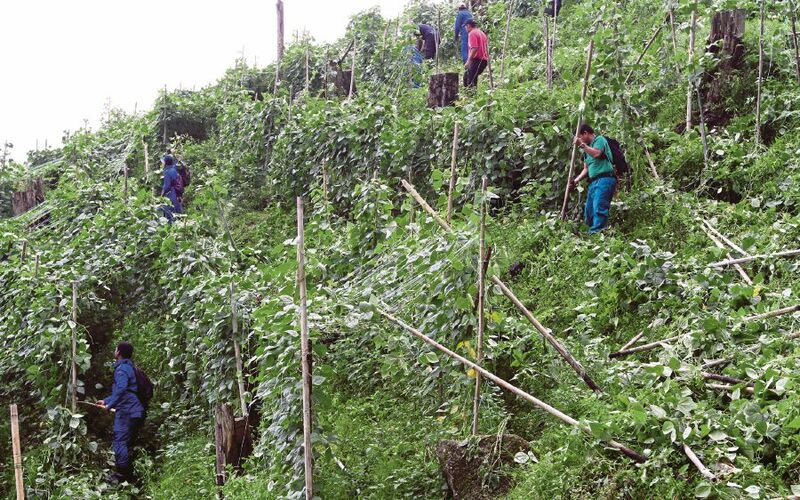 Enforcement officers from the Forestry Department and Civil Defence Force carrying out an operation at illegal vegetable farms in Cameron Highlands last year. Such activities have left a bitter taste in the mouths of fellow Malaysians. THE International Network for Government Science Advice (INGSA) hosted its third biennial conference on Nov 6 to 7 in Tokyo. It was attended by 300 participants from 40 countries. practical approaches to the use of scientific evidence in informing policy at all levels of government. INGSA 2018 explored principles, practices, and the dynamics of working at the science-policy interface, particularly in relation to achieving the United Nations Sustainable Development Goals (SDGs). According to Sir Peter Gluckman, the former science adviser to the prime minister of New Zealand and the main force behind INGSA’s creation in 2014, it was clear at that time that no other organisation took a global perspective on promoting science diplomacy and evidence-informed policy-making. The overarching theme of the conference was “Science Advice for a Changing World”, encompassing the urgency of our common challenges and global goals, the unprecedented speed of scientific discovery and application, and the shifting public view of both science and policymaking in the emerging “post-trust” society. Science advising is often discussed in the abstract, by way of principles and practices. Putting these into everyday contexts can provide a better way to share experience and lessons. This is especially important because the practice of science advising is highly contextualised. In a crisis, for example, the adviser or advisory body can quickly become a de facto decision-maker. Science advice to local officials may have very immediate and direct impacts. At the international level, however, advisers help diplomats and trade negotiators to marshal scientific understandings in new and unprecedented ways. During the conference, it was an honour to share three decades of experience at the interface of science and policy at multiple levels. This began incidentally when I was co-opted as a junior member of the Malaysian delegation to negotiate one of the Rio treaties — the UN Convention on Biological Diversity (CBD) in the early 1990s. International negotiations then were deemed to be the realm of diplomats and senior government officials and rarely involved academics. Other roles followed in the global biodiversity field, such as in the CBD’s Subsidiary Body on Scientific, Technical and Technological Advice (SBSTTA); the Millennium Ecosystem Assessment; the Intergovernmental Science-Policy Platform on Biodiversity and Ecosystem Services (IPBES), and the Scientific Advisory Boards of respectively, UN Secretary-General Ban Ki-moon and president of the Islamic Development Board. At home, I chaired a task force that formulated the first National Policy on Biological Diversity and the national chapter of the UN Sustainable Development Solutions Network (SDSN), in addition to serving as science adviser to the prime minister from 2010 to this year. Alas, the more involved I became, the more sceptical I became as well. To be sure, tremendous progress was made on the understanding of sustainable development among political leaders from the time it was introduced by the Brundtland Commission in 1987 to the 2015 UN Summit which launched the 2030 Agenda with its 17 SDGs. However, the 2018 SDGs Index and Dashboards put out by the Bertelsmann Stiftung and the SDSN in early July found no country on track to achieving all of the SDGs by 2030, with the slowest progress being made on environment-focused goals, such as SDG 12 (responsible consumption and production), SDG 13 (climate action), SDG 14 (life below water) and SDG 15 (life on land). During the Earth Summit in 1992, Malaysia pledged to keep at least 50 per cent of its land area under forests. In 2015, the UN Food and Agricultural Organisation reported that this has increased to 67.6 per cent (natural and planted forests). This is good news. Unfortunately, ongoing illegal land clearing and farming in places like Cameron Highlands, and the pollution in Tasik Chini have left a bitter taste in the mouths of fellow Malaysians. What is agreed at the federal level may not necessarily coincide at the state or local levels. This is a classic example of the need for science advice at multiple levels. Asean also has its share of major environmental troubles, most visibly the transboundary haze pollution that has plagued this region and our lungs since the late 1990s. A legally-binding agreement was forged by the member states in 2002 but failed to prevent the annual return of the haze between 2004 and 2010, and again in 2013, 2014 and 2015. We can only hope that with the benefit of the available scientific answers, it doesn’t return. The emergence of INGSA as a science advisory platform is a giant step in the right direction towards our universal aspiration of developing good governance in sustainable development.